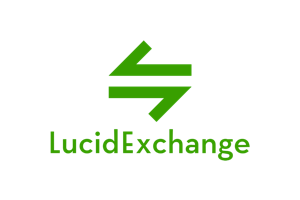 In an interview with MLG, Ephi Zlotnitsky, CEO of LucidExchange stated that the idea for the Lucid platform first came about in June 2016. At this point in time, Zlotnitsky had just recently sold his stake in his payments business, iControl Data Solutions, a SaaS provider of B2B payments and analytics software. After the sale to Goldman Sachs the payment technology entrepreneur was looking to invest the capital in a new venture. After some broad market research, Zlotnitsky developed a passion for blockchain technology However, it was his his keen interest in the power of smart contracts that led him specifically to blockchain’s broad applications in payments and finance. Zlotnitsky believed that finance was ripe for change, and that with this technology many of the inefficiencies that plague the industry could be streamlined and cut out. In this interview, Zlotnitsky outlined many of these problematic areas including large fees for processing transactions, long waiting periods to settle trades, and the existence of transfer agents, financial intermediaries who slow the marketplace by manually recording changes of ownership in stock and reconciling different ledgers. According to LucidExchange’s CEO, all of these factors create friction in financial world and even change the way investors must plan their trading strategies. Yet with blockchain technology assets can be transferred at virtually no cost, the whole chain is an immutable record that is public and accessible by anyone. To Zlotnitsky, when ownership of assets can be immediately changed and verified, the sky’s the limit. Zlotnitksy told MLG that he began to explore the possibility of creating a free peer-to-peer trading platform and derivatives options exchange with these ideas in mind and in October 2016, after months of researching the business models and application of transfer agents in the securities marketplace, he teamed up with his brother, Sean, to build LucidExchangeand its native token, TRD. What followed was the development of their proof of concept, the mapping out of their proprietary algorithms and process flows, and the initiation of web design. As of today, the Lucid team has most recently finished their white paper, drafted their terms and conditions, prepared initial marketing materials and a marketing plan, and assembled an advisory board of industry experts to guide Lucid throughout the process. Their most recent addition is NYU Law Professor Houman Shadab, who’s published several academic articles on the topic and has had his research quoted by the Commodities Futures Trading Commission and the Securities and Exchange Commission. According to Zlotnitsky, the immediate focus of the team at LucidExchange is to continue development on the beta. The beta has been in development for several months with testing completed successfully, and should be released within the next several weeks. While the platform has successfully implemented calls and futures trades, currency swaps are on the horizon. Concurrently, Alexei Silverman (J.D. Harvard Law), Chief Compliance Officer, is spearheading the company’s efforts to comply with regulatory agencies including the SEC and the CTFC. This includes registering and filing the necessary materials as well as meeting with the appropriate members of these commissions. Earlier this week the Lucid team met with the CTFC approximitely 15 or their directors. After a question and answer period on the platform, Zlotnitsky states that the commission appears very receptive to working with Lucid and other companies in the space. This is all going on while LucidExchange ramps up its marketing efforts to prepare for the crowdsale of their token, TRD. While Lucid does not have direct competitors, LedgerX is also a platform that recently registered with the CFTC as a derivatives clearing organization under the Commodity Exchange Act (CEA). Under the order, LedgerX will be authorized to provide clearing services for fully-collateralized digital currency swaps. However, Zlotnitsky states that Lucid goes above and beyond crypto-currency trading by offering traders the option to trade on traditional commodities futures contracts through deployment of complex smart contracts that auto-regulate the open derivatives transactions from inception to expiration. The result is a higher degree of functionality that empowers traders to execute anything from the very basic, all the way to complex trades. As was previously mentioned, Zlotnitsky also believes one of LucidExchange’s most impressive factors is the commitment to obtain all the required licenses from the regulatory agencies, chief among them, the CFTC. While some blockchain based firms have hid from regulatory commissions, Lucid has instead been actively communicating with the CTFC in order to ensure they adhere to the strict regulations that govern trading. Despite the tedious and expensive work involved in registration with the CFTC, being compliant will deliver legitimacy and credibility that puts the exchange in a position of strength moving forward. Looking ahead, Zlotnitsky states that he and his team have much planned for the platform heading into late 2017 and early 2018. First and foremost is the launch of their ICO. At this point in time a marketing push including a roadshow will be commenced. Once the sale is complete by the end of October, Lucid hopes to have filed its registration with the SEC and CFTC by November. After this process is complete, Zlotnitsky anticipates the platform will be launched to the public in the first quarter of 2018. A mobile application is also planned to be released by the second quarter of 2018. Looking even further to the future, the goal for 2019 is to expand the customer base from institutional investors to include retail banking institutions. In Zlotnitsky’s eyes, users such as hedge funds and investment banks will greatly increase order flow. As a result, the more people operating on the platform will make it run more efficiently. MLG is an advisor to the LucidExchange team and on the TRD ICO.